*Disclosure: I have an ongoing relationship with Mitten Create. The opinions expressed here, however, are my own. 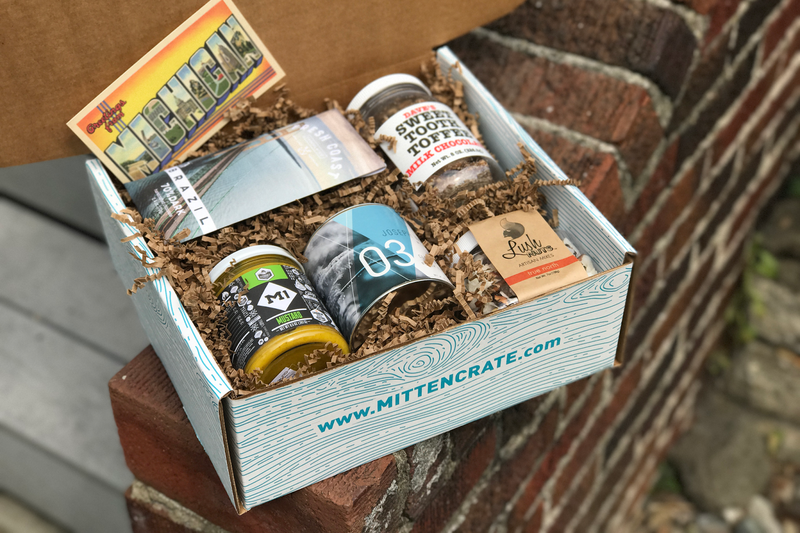 I have been receiving subscription boxes from Mitten Crate for a few months now, and every month, I'm excited to see their box at my doorstep. Though I'm not a native Michigander, I've lived here for 2/3 of my life and I've come to appreciate Michigan brands. Mitten Crate is a great refresher (or introducer!) to these. I first started working with Mitten Crate when I ran across their pop-up shop at The Rust Belt Market, in Ferndale, but I had been coveting their products long before that—and you can now shop for individual products on their website, too. The other option is to purchase a subscription, which is $35 per month, renews monthly, and is one you can cancel anytime. If you want to buy a one-time box or gift, it's $35 plus shipping, and if you want a 3-month subscription, it's $99 for 3 months. Needless to say, all of the products featured in the box and on their website are made in Michigan - hence the name "Mitten Crate"! Better Made red licorice - who knew that Better Made (purveyor of chips) made licorice?! I certainly did not. Dave's Sweet Tooth Toffee - I had seen this at Leon & Lulu before, in Clawson, but had never tried it. In this month's box, I received the Dark Chocolate Cherry flavor, but my favorite so far is their Vanilla Toffee. So tasty! FRUITBELT Apple Caraway Tonic - This is something I probably would not have bought for myself in the grocery store, upon first sight, but I ended up really liking it. Great Lakes Potato Chip Co. - Michigan Cherry BBQ potato chips - Definitely an interesting flavor, and I hadn't heard of this company before I received the chips in my Mitten Crate box one month. Mindo Hot Chocolate Stick - I'll be honest and say I haven't tried this yet, as it's been sitting on my counter for a month or so now, but I'm looking forward to it! It looks delicious. Overall, I am quite pleased with the Mitten Crate boxes I have received. It would make a great treat for yourself or family/friends, especially if they are fellow Michiganders or former Michigan residents that perhaps miss the Michigan brands they used to eat or drink. Make sure to follow me on Instagram, too, and check out my daily Instagram stories, where I do my Mitten Crate unboxings! Have you ever subscribed to Mitten Crate, or a subscription-based service? Why or why not? 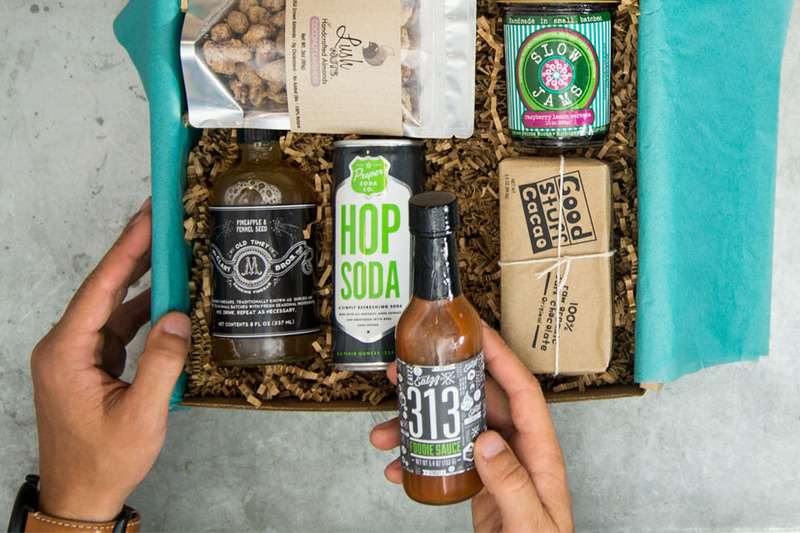 One of my lucky readers will win a 3-month subscription to Mitten Crate! That's a $99 value, and you're sure to find some Michigan-made products in your crates that you will love. Enter via the widget below. Giveaway will end on Wednesday, January 17th, at 11:59pm EST, and winner will be notified via email the next day, and have 24 hours to respond, or an alternate winner will be chosen.